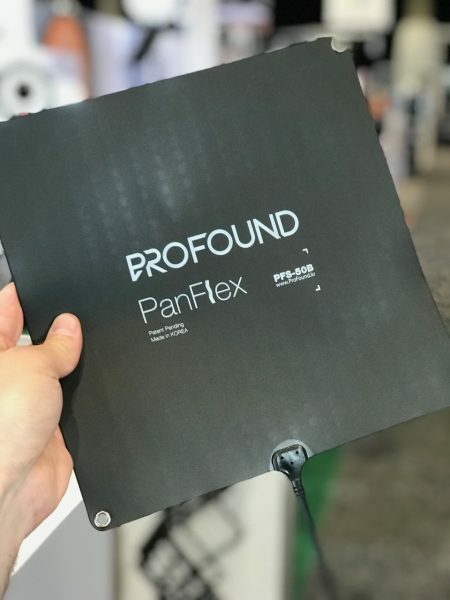 ProFound is a new lighting company from Korea that looks to have taken flexible panel lighting to the next level. 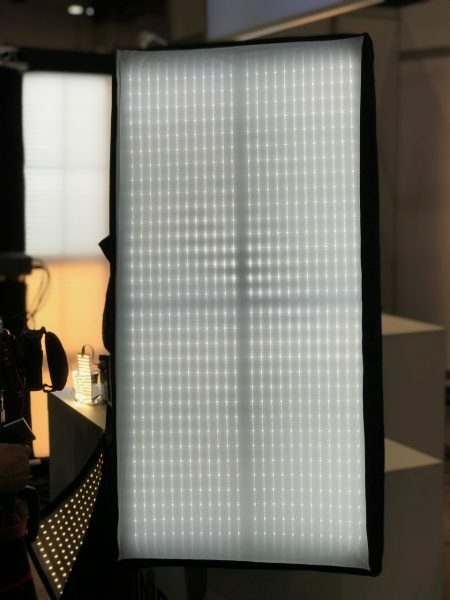 The company was showing a range of new ultra thin, and when I say ultra thin, I really do mean ultra thin flexible LED lights unlike anything else I have seen before. 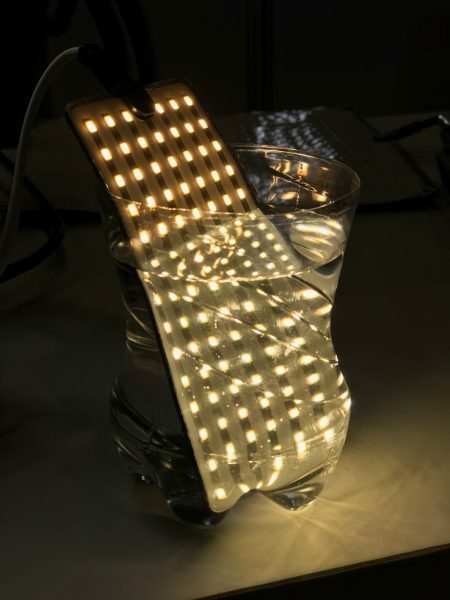 The lights, called ProFlex, are the lightest and thinest LED lights that I have ever seen. I’m not sure how to describe the material that the LEDs are placed on, but the closest comparison would have to be crepe paper. I’m not sure how they managed to get LEDS on something so thin and lightweight, but they have. 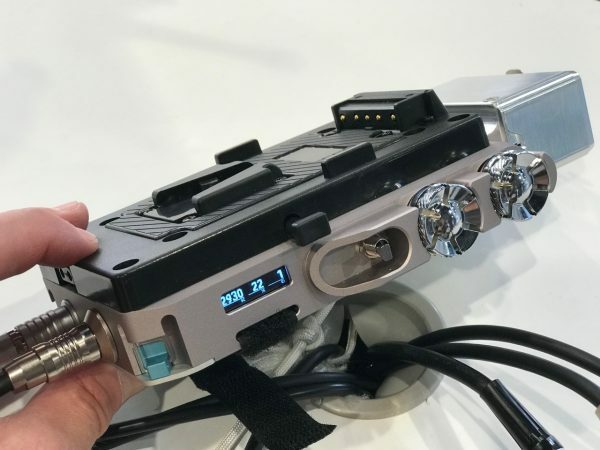 The lights can be folded up like a piece of paper and put into your pocket. This makes them extremely portable and easy to transport. Despite being bonded onto lightweight material, the lights can also be completely submerged underwater while still running. ProFound were showing a 50W, 100W and 200W versions of the ProFlex flexible lights. The lights also come with very futuristic looking dimmer/power boxes that look like they belong on the set of Blade Runner 2049. The lights are color adjustable from 3000K to 6000K. ProFound also had another series of lights called PanFlex. 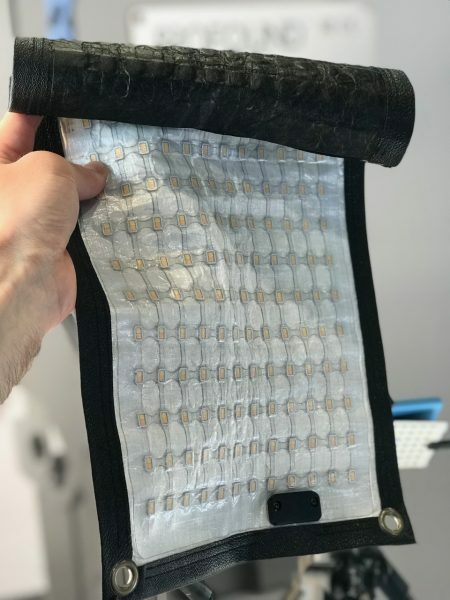 These are LED lights bonded onto the back of a thin rubber sheet that is similar to a common mouse pad. 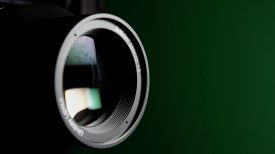 The PanFlex lights were available in a 1×1 size and in a tiny 5″ version that can be powered off a common USB power supply. 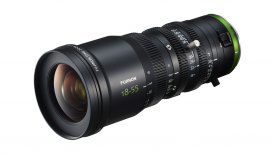 The smallest size ProFlex 50 retails at $995 USD. Prices go up from there.